Take a look at the latest works of Sagafilm or contact them in Reykjavik directly. Find on Production Paradise the best creative professionals and production services for commercial production, commercials / advertising directors, documentary production, film production services, location service and scouts, photo production, tv/ video production. 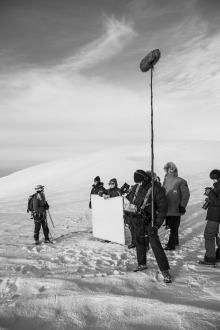 Sagafilm is an established independent production company in Iceland specialising in professional production for TV, Commercials and Feature Films. With over 40 years of experience in the Icelandic film industry, Sagafilm has a tremendous network of top notch professionals around the country and a rich archive of locations. Our production service department can provide everything from location scouting right through to the final wrap party. Sagafilm’s staff with their thorough knowledge of the system, will also help you every step of the way in acquiring the 25% rebate. Sagafilm is an established independent production company in Iceland with an international reputation on both sides of the Atlantic. "We have the very best resources for a wide range of productions including commercials, feature films, television, documentaries and still photography shoots." With over 40 years of experience in the Icelandic film industry, Sagafilm has a tremendous network of top-notch professionals around the country and a rich archive of locations. "Our directors and producers work side by side with Icelandic and international brands and their advertising agencies. We provide a multi-talented production crew that is, with the help of a dynamic and engaging landscape, fully committed to making your vision, big or small, come to life."